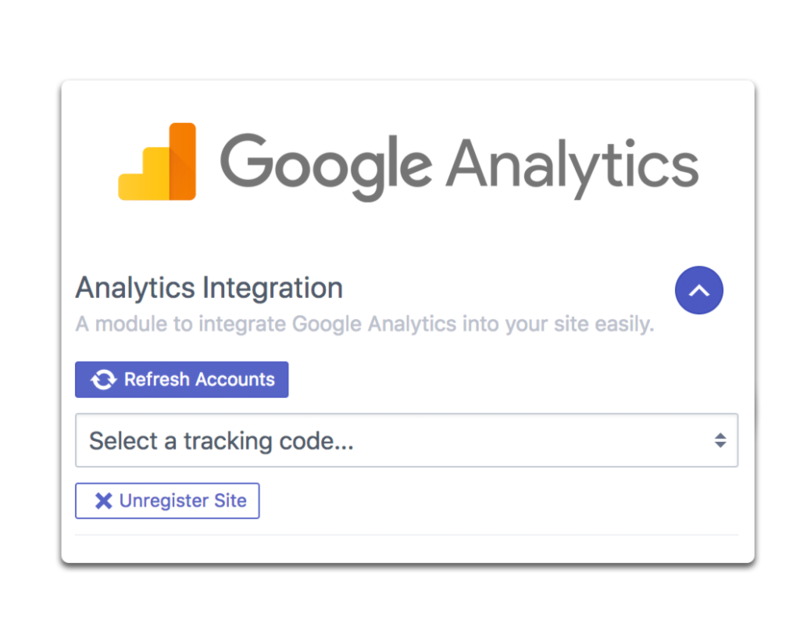 Orbit Fox provides a module to easily integrate Google Analytics into your website. Just log in with your Google Account and pick one of your tracking codes. We’ve made it really easy to use and straightforward to set up.